While there are many talented and successful Christians in the world today, they are merely vessels for God's message of grace, hope, and power. Our focus should never be on the container for the message. Instead, what is most important is the integrity of the messenger no matter the situation, so that the message can be seen without distraction. 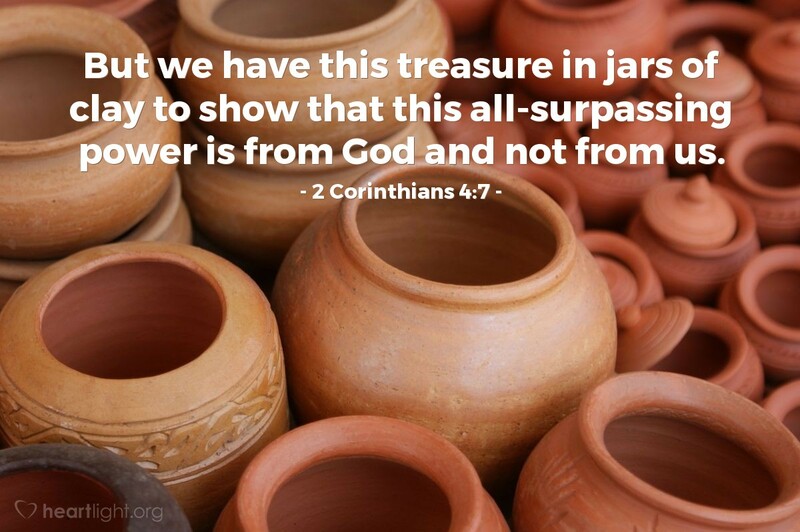 God's power is what sustains us, not our own, we are simply a vessel, a tool, in the hands of the Lord. Almighty and all-powerful God, thank you for using me to minister to others as your partner in the work of grace. May my service help them more perfectly see the glory of your truth and grace you gave us in your Son. In Jesus' name I pray. Amen.